I’ve had some exceptionally delicious sandwiches lately. A rare treat for me, since we don’t always have gluten free bread. 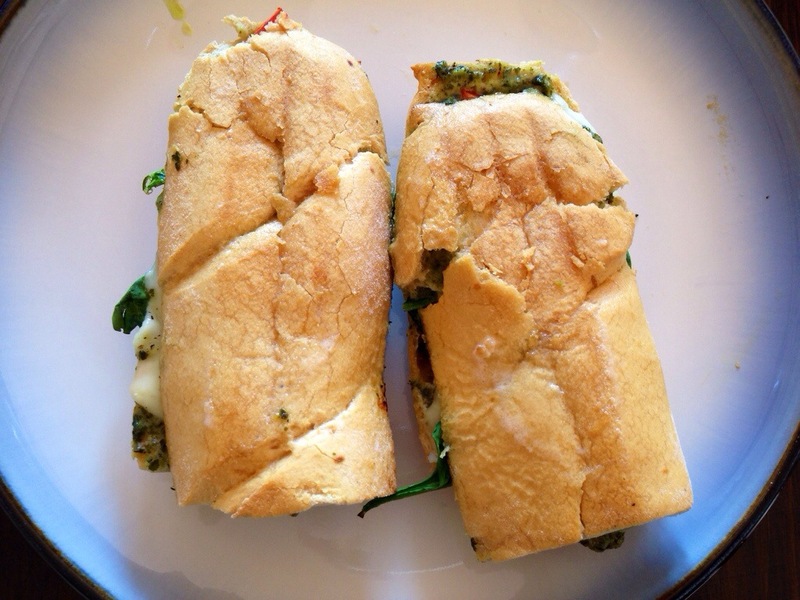 Last week, S had a brilliant idea that turned into one of the best sandwiches of my life. 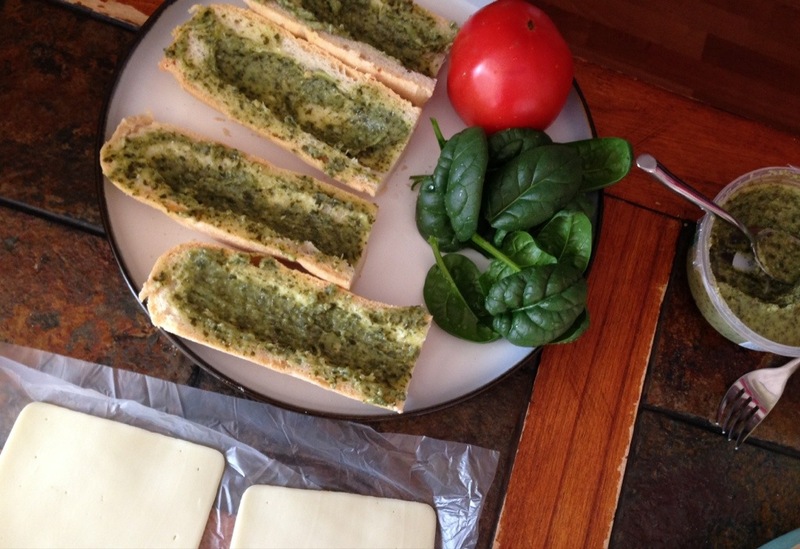 He started with a baguette, a tomato, pesto sauce, mozzarella cheese, and spinach (from our garden!). 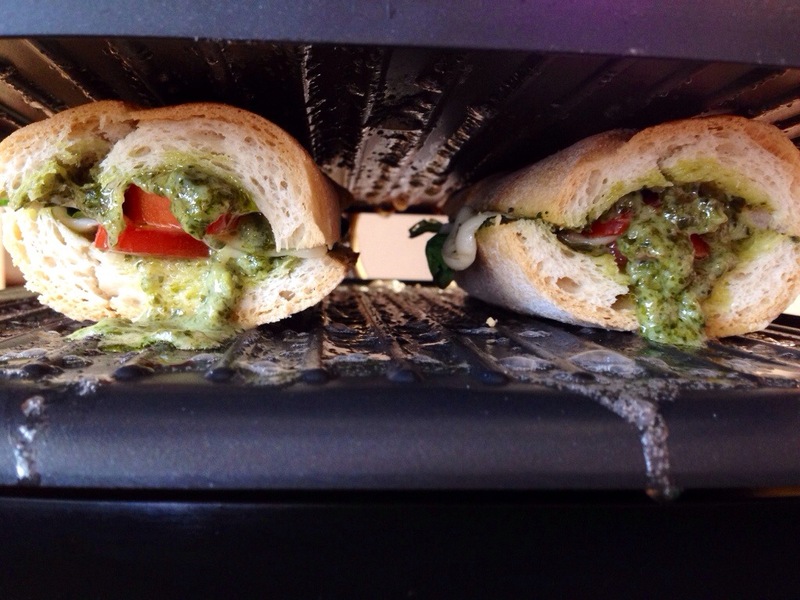 First, he spread the pesto on the bread. 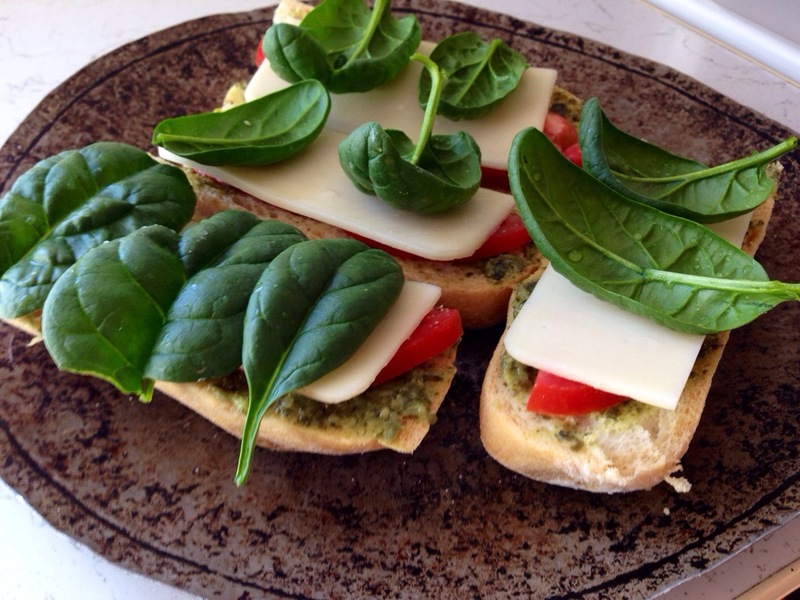 Then, he layered tomatoes, cheese, and spinach on top. He put it in the oven to start off. Next he moved it to the panini press because BUTTER. Oh, and, it toasted the bread and melted the cheese and stuff. The final product: My tummy was SO happy. Previous Post Bravery or Stupidity?